AMBUSH MAGAZINE, based in New Orleans, celebrated its 36th anniversary in its October 9, 2018, issue. LEWIS COVINGTON, a former writer with now-defunct Atlanta publication ETC, passed away on September 6, 2018, from cardiac-related causes. He was 66. 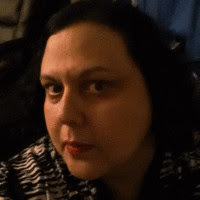 ECHO, based in Phoenix, Ariz., announced that AMY YOUNG is the magazine’ new managing editor. She replaces KJ PHILIP, who will continue to contribute to the publication. 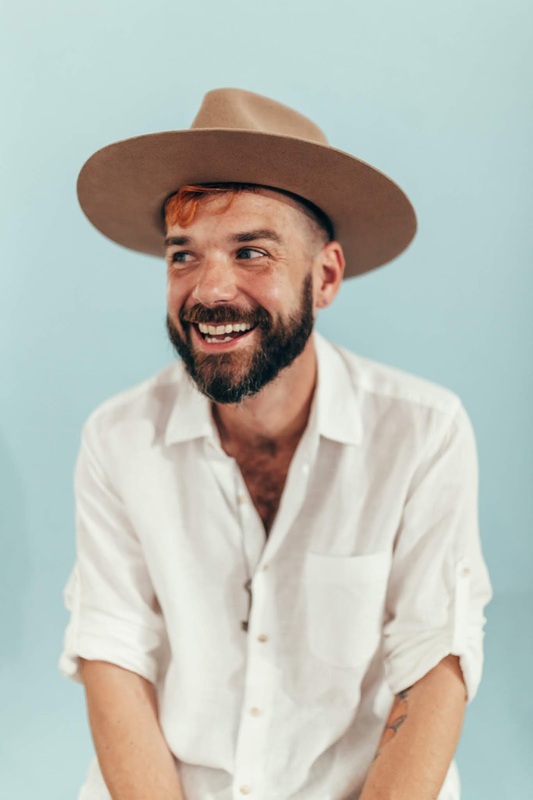 THE FIGHT SF, the Los Angeles publication’s San Francisco edition, announced that BRENDAN SHUCART is its inaugural editor. THE MIRROR, based in Wilton Manors, Fla., and published by SOUTH FLORIDA GAY NEWS, introduced its new logo and branding in its September 2018 issue. RAGE MONTHLY, based in San Diego, Calif., launched its Palm Springs edition in October 2018. It already publishes San Diego and Orange/Los Angeles Counties editions. PRIZM, based in Columbus, Ohio, celebrated its first anniversary in its September 2018 issue. SOUTH FLORIDA GAY NEWS publisher NORM KENT won a second place award for Investigative Reporting in the FLORIDA PRESS ASSOCIATION’s annual competition in August 2018. The story, “The Rise and Fall of the FLORIDA AGENDA,” explored the collapse of that media company. THE WASHINGTON BLADE launched its yearlong celebration leading up to next October’s 50th anniversary of the D.C.-based newspaper. To start, the newspaper unveiled its new 50th anniversary logo in the October 19, 2018, issue. WINDY CITY TIMES, based in Chicago, entered its 34th year of publishing with its September 26, 2018, issue. The recent midterm elections were notable for the Democratic takeover of the House of Representatives and the victories of several LGBT candidates. LGBT publications, especially weeklies, were under the gun to provide coverage of the major races. Some adjusted their schedules to provide the most timely coverage. In Chicago, “From Democrat J.B. Pritzker dethroning Republican Bruce Rauner in the Illinois gubernatorial race to Colorado's Jared Polis becoming the first openly gay man elected governor in the United States, a sea change took place at the polls,” reported Windy City Times. Between The Lines, based in Livonia, Mich., reported the boost in gay representation in Congress. “Three gay and lesbian non-incumbent candidates — Angie Craig in Minnesota, Chris Pappas in New Hampshire and Sharice Davids in Kansas — were confirmed the winners Tuesday night in the bid for seats in the U.S. House amid ‘blue’ victories that propelled Democrats to take control of the chamber." “Another candidate who’s bisexual, Katie Hill in California, appeared to have beaten incumbent Rep. Steve Knight in her bid to represent her state’s 25th congressional district in the House, but those results were close and weren’t declared as of Wednesday morning,” the Michigan paper noted. 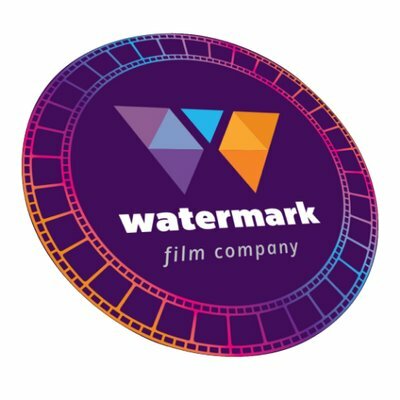 The owner of Watermark, based in Orlando, Fla., has created a film company, with plans for a documentary called “Greetings From Queertown: Orlando” already in the works. 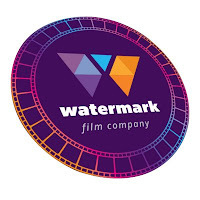 Watermark Film Company was launched by Watermark Publishing Group owner Rick Claggett “as a way to create, produce and distribute films that inform and educate audiences on the LGBTQ experience,” according to a press release. Already, the film’s first trailer was unveiled at a private fundraising event at in Orlando over the summer. “Greetings From Queertown: Orlando” will look at Orlando’s LGBTQ community from its early beginnings to its place in one of the most progressive cities in the U.S., according to the company. “Greetings from Queertown: Orlando” looks to explore the pivotal moments in Central Florida’s LGBT story. Events in the film will include the launch of the LGBT+ Center of Central Florida, the early days of the HIV/AIDS epidemic in Orlando, the beginning of Gay Day at Magic Kingdom, the first LGBT Pride parade held downtown and the tragedy at Pulse. The documentary will film these stories as told by Orlando’s LGBTQ leaders, innovators, activists and entertainers who lived it, according to the company. The film’s trailer features interviews with Orlando City Commissioner Patty Sheehan, drag performer Darcel Stevens, Watermark founder Tom Dyer, and Florida House Rep. Carlos Guillermo Smith. While “Queertown” is Watermark’s first film endeavor, producer and director Sandi Hulon has been working in video production for 15 years. Claggett said the company will continue to use film as a medium to tell stories. “We’ve been a part of telling the story of this community forever, it’s just logical that this is the next progression in it. It’s the future of what we do,” Claggett said. The film is now in its fundraising stage, according to Watermark, with a goal of raising $200,000. Perks include a Facebook thank you post, a digital download of the film or VIP seats at the film’s premiere. There currently isn’t a release date, but Claggett said he’s hoping to debut it at a film festival within the next year. For more information on “Greetings From Queertown: Orlando, go to GreetingsFromQueertown.com. Stepbrothers Adam Levin and Maxx Abramowitz, who now own OUT magazine and The Advocate under the umbrella of their new holding company PRIDE Media, came under fire recently for donating to anti-gay Republican - and just defeated - California Congressman Dana Rohrabacher. Women’s Wear Daily - under the headline “OUT Magazine, PRIDE Media Rife With Challenges for New Editor” - reported in September that the brothers, who also are the leadership team behind pro-cannabis High Times Magazine, supported Rohrabacher, who only this year said it should be legal for realtors to refuse to sell homes to LGBT people. Editorially, High Times also praised Rohrabacher for his support of cannabis. But Levin has also donated to California Congressman Devin Nunes, newly defeated U.S. Sen. Dean Heller of Nevada, and Ohio Treasurer Josh Mandel. The San Diego publication also spoke with openly gay PRIDE Media CEO Nathan Coyle, who said that “Levin will be more careful of who he gives money to in the future." 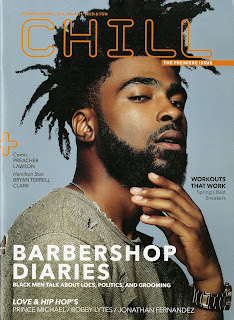 PPQ: What feature or features of Chill magazine have been the most popular with readers? Anderson-Minshall: Our cover stories, of course, are among the most popular because they're usually rather incisive looks at some of the thought leaders in the worlds of entertainment and hip-hop. We get a lot of kudos for our style sections as well and our fitness sections (which are very much akin to Men's Health but with Black and brown guys in them) are also popular. Anderson-Minshall: Our publisher Joe Valentino and I had been bouncing around the idea of this magazine for years, in part inspired by the number of Black men I had met that felt like there wasn't a space for them in LGBTQ media or mainstream media. 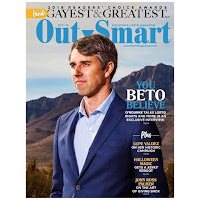 We knew from the outset our readers would be gay-friendly — that's a must — but would be comfortable with a magazine that spoke to them and their friends regardless of orientation. We wanted the universality of men's voices and began talking with Gerald Garth. As a Black man, Gerald was critical in framing the voice and tone of the magazine. The editorial team that works on Chill is almost entirely people of color, and that was critical to us. We're all about inspiration and empowerment, in looking and feeling good and being healthy, but we want to offer you a space to chill with it too. PPQ: What challenge has Chill had to overcome since its inception? Anderson-Minshall: Well, any new magazine launch has the challenge of convincing advertisers you're worth their investment and that you're reaching the audience you promise to reach. Fortunately, we had some early adopters and we already have new accounts lined up for 2019. Garth: Chill has made some major strides. Overcoming concerns like inserting a new brand in the market can be a concern. But what’s great about Chill is the brand uniquely speaks to audiences that for a long time, have not had a voice - or rather, a very limited voice. Being able to showcase and bring to life the experiences of the millennial man of color is a value that Chill brings like none other. PPQ: What challenge or challenges is Chill facing now? Anderson-Minshall: We just put money into building a digital team that not just does digital content, but also audience engagement and social media trafficking. Our big challenge in the next couple of months is to really boost our digital followers, but I'm optimistic, not just because we've really finally had time to focus on that with our small team, but we're using the power of Pride Media that has made our other brands the most viewed LGBT sites in the country. PPQ: How has Chill changed since it was first launched? Anderson-Minshall: We're so new, I'm not sure we've had much change, but it does take a few issues to really hone your tone and style and voice, so clearly those things are much sharper now. And like any good media outlet, we've listened to our readers and followers and used their feedback to better tailor what we're doing editorially. Anderson-Minshall: Well as editors we always want it to be bigger and better, so we're eager for a page count increase in print, which will happen sometime in 2019 I bet. Garth: I’m excited to see the brand grow. New partnerships, stronger visibility, and increased engagement. I’m also excited to see more contributors and more digital and video. Just overall a bigger Chill! PPQ: What has been the biggest news story or stories Chill has covered? Anderson-Minshall: Our most recent cover story with Charlamagne the God is getting a lot of traffic and some media pick up, which I think is because it's rare to have men talk about mental health, especially guys like Charlamagne. Anderson-Minshall: Let's say 3. Our readers can be who they want to be without the baggage of labels, but surely among them some ID as gay, bi, trans, queer, SGL, and straight. Anderson-Minshall: I definitely see myself as an advocacy journalist because you really can't do a publication aimed at a niche audience (and face it, ours is quite niche if you look at men of color with complex personal identities) without being an advocacy journalist. Garth: For me, activism is a way of life, particularly when you speak to the needs and experiences of underrepresented people. Some of the things Chill speaks to when it comes to young men of color, particularly Black and Latino men: mental and emotional wellness, sexual health and identity, knowing your rights, countering discrimination, but all through a social voice that really uniquely engages our readers. Anderson-Minshall: I'm always surprised by the number of white men or women (cis and trans) who say that even though they're not our target audience, they feel like the magazine really speaks to them. And I recall Prince Michael (who is straight) and Bobby Lyte (who is gay) from the TV series “Love and Hip Hop: Miami” talking about places where gay and straight men can hang together and how Chill in many ways has created that space. PPQ: What advice would you give to anyone who may want to launch their own LGBT website? Anderson-Minshall: Figure out who your audience really is and make it as specific as possible. Don’t try to reach everyone; there's great value in reaching a very specific niche audience. But within that, diversify as much as possible. We do not live in the LGBT world that existed even a decade ago, so our media absolutely shouldn't look like we do. Garth: Find your voice. Be able to speak passionately and well about issues and topics that are important to you and your communities. And respect intersections, respecting the places where multiple identities exist. For example, navigating the world as an LGBT person looks very different depending on race, location, religion, and so forth. Find spaces that allow you to specifically and authentically speak to the layers of one’s being. 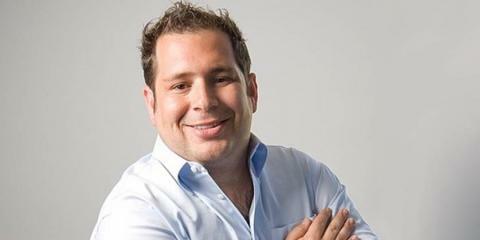 Mark Segal, publisher of Philadelphia Gay News, is the nation’s most-award-winning commentator in LGBT media. This column originally appeared in PGN. “General excellence.” Upon hearing we’d won this category, my thoughts were, “Just another award.” Now that might sound jaded, but these days that seems to be the road we’re on, and I should have done my homework. I soon discovered that the award I was about to accept on behalf of the entire PGN team is one of the highest honors a newspaper could be awarded by the 2,300 newspaper members of the National Newspaper Association.